These impressive looking rustic wood beams have been reclaimed from some of the most well built barns in Iowa. Although many of these historic structures have outlived their original purpose and need to be replaced, the rough sawn wood in these old buildings is every bit as strong and beautiful as the day they were erected. These wood beams can be used for a variety of projects, including fireplace mantles, supports, and heavy wood beam shelves. If you have a project that needs a piece of wood from the past that is strong enough to drive a truck on, but impressive enough to showcase in your living room, call me! 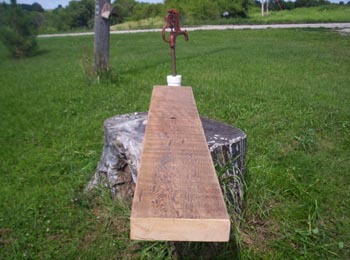 These old beams have been carefully re-claimed from old barns and corn cribs in Northern Iowa. 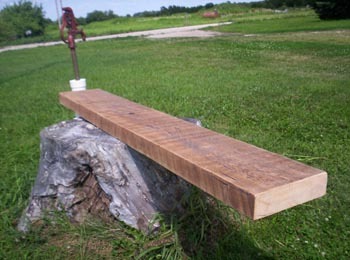 If you are interested in purchasing these beams in quantities for resale, please contact Mike Brogan at (319) 325-9632for wholesale pricing. 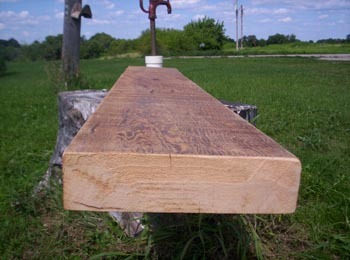 For those who prefer a bit thinner beam for mantles, or other uses, we also have a large supply of rustic wood beams that are averaging a full 2"-2.25" thick by 12"-12.5" wide. © Copyright 1997-2015 Brogan's Wood Products, Mfg.. All Rights Reserved.